Not soon enough. 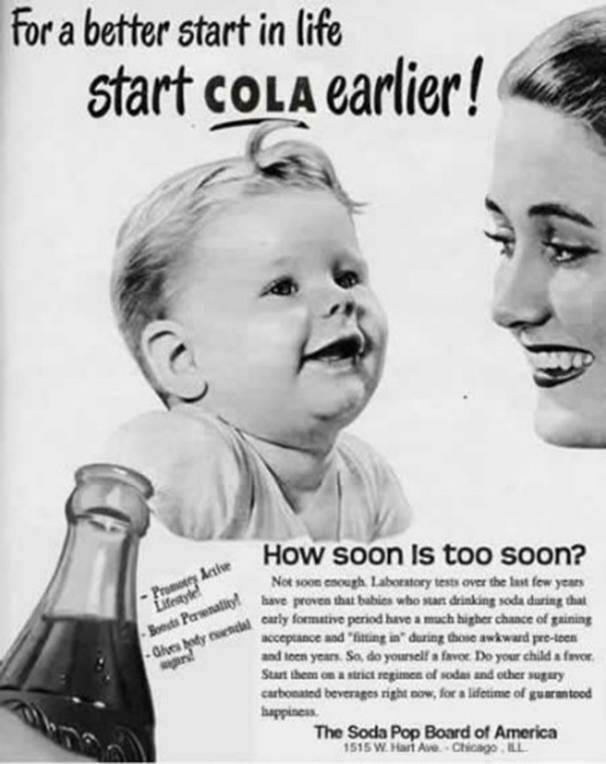 Laboratory tests over the last few years have proven that babies who start drinking soda during that early formative period have a much higher chance of gaining acceptance and "fitting in" during those awkward pre-teen and teen years. So, do yourself a favor. Do your child a favor. Start them on a strict regimen of sodas and other sugary carbonated beverages right now, for a lifetime of guaranteed happiness. - Gives body essential sugars!